So the family and I took a little drive to a farm not too far away to go pumpkin picking today… Boy, do these “farms” have quite a cash cow of a business… Between the Hay Ride, Pumpkin Catapult, and horrible food we dropped about $75, when we could’ve just as easily went down the street to the grocery store and picked up three nice pumpkins for less than 10 bucks… Oh well, it was fun nonetheless. I started out by brushing all that dirt off the one side of the pumpkin that it was growing on with a stiff brush. Then I wrapped the stem in blue tape so no paint would get on that. Then I started shaking up the paint. I had a glossy red lacquer and a matte black paint on hand, so that’s what I used. It took a few coats to get the color consistent, but it was a quick 10 minute job. 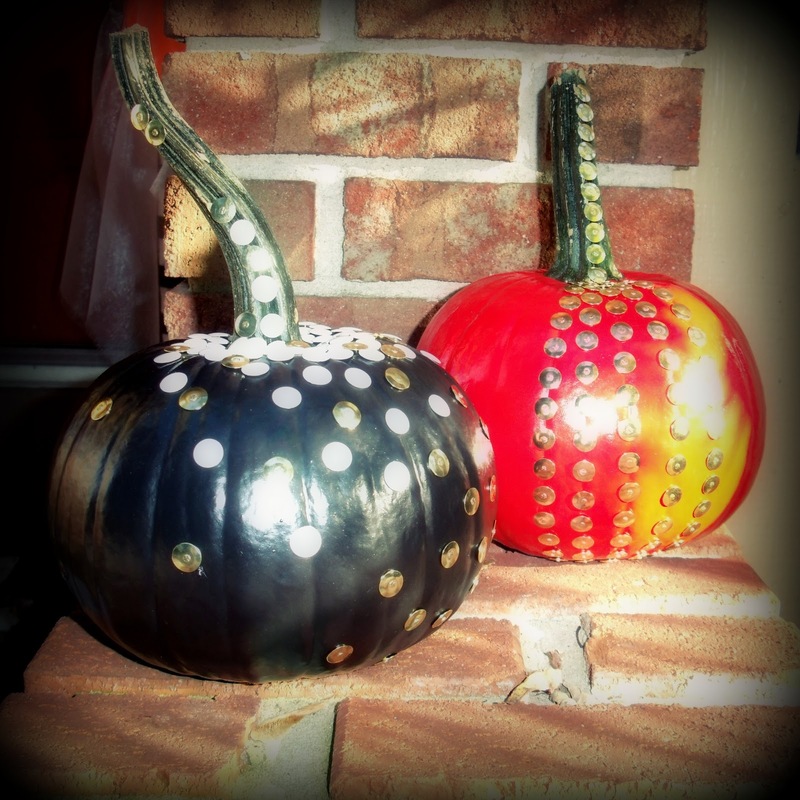 I then decided to just start pushing the tacks in… On the red pumpkin I used bright brass pins, and just followed the natural ridges of the squash. I tend to like things more A-symmetrical, so I did 5 rows, and stopped. For the matte black one I covered the entire top with white thumbtacks, very heavily, almost like snowcap on a Montblanc pen. Then I did a slight ombre effect with the remaining brass tacks I had left over. Both were super simple, and I think pretty successful. It’s a chic way to celebrate the season without having to break out the carving equipment… It’s the grown up way to decorate a pumpkin!